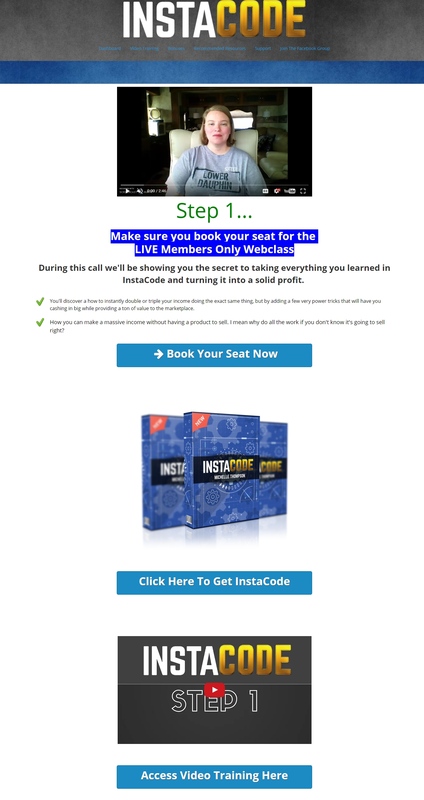 InstaCode Review + Bonus - The Real Path To Money Online? 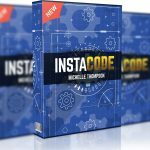 This is my honest review of InstaCode by Michelle Thompson. This appears to be Thompson’s first product launch even though she’s been in the internet marketing space for some time now, but the powerful method behind the course really resonated with me and I wanted to pick it up and give my honest take on it. It’s important to mention that unlike other people out there that have reviewed InstaCode, I’m not doing so with the sole intent of funneling traffic to some other offer I’m an affiliate for that I claim is “better”. I am an affiliate for just about all of the products I review, I don’t have an ulteriokr motive, and most of the time I’ve gone through the whole course in detail before writing about it. This is a 100% honest review of a course that I’ve gone through myself. Bonuses: I’ve put together a package of awesome bonuses that I think complement InstaCode at least to some degree. You’ll get these bonuses absolutely free if you decide to grab InstaCode through my link on this page. Be sure to scroll down to the bottom of the review to get a description of each of them! Summary: InstaCode is a great info product packed with a lot of valuable information. 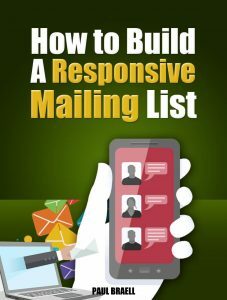 It teaches you how to build the foundation of a good online marketing business, which is a domain, hosting, email capture page and autoresponder follow-up sequence. Every step of the process is covered in great detail. If nothing else, it’s very important that you learn the system covered in this course because it’s the very foundation for online marketing success; this is not a “one-off” or “fad” method, and every budding internet marketer will become well acquainted with it at some point. The case study by Bill Hugall is a nice addition that can give you some added perspective when you’re implementing this yourself. With that said, I wish Michelle covered ways to get traffic to your pages. Traffic is essential; without it you don’t have a business. Traffic methods are covered a little in Hugall’s case study, but I think it would have been better if traffic methods were more formalized in the main course. Also, I think it was a bit wasteful to dedicate entire videos to simple tasks like changing nameservers and installing landing page software. InstaCode centers around a tried-and-true, proven system for making money as an online marketer: sending traffic to an offer, capturing email addresses and monetizing subscribers long-term by promoting offers to them. Section 1: 10,000 Feet – In this first part of the training, Michelle will give you an overview of the entire method, an idea of what’s coming up and how it all fits together. Section 2: Get and Keep More Customers – contained in this section is one of the most powerful tools you’ve ever seen when it comes to online marketing. Michelle will not only talk about this tool but also give you an over-the-shoulder view of her creating everything and putting it all together. Section 3: Keep Them Coming Back For More – this is where you really see the power of the tools utilized in Section 2. Michelle will set it on autopilot and show you how to get your customers to keep coming back to you time and again. By the end of this section you’ll understand why this is a set-and-forget system. What is the structure of InstaCode? Front End ($9) – the main course which consists of a 36-page PDF and a 10-video training (11 if you include the case study video) covering the substance of the course I described above: setting up a capture page, autoresponder and email marketing campaign. Q&A Training Webinar Without A Sales Pitch ($97 Value) – Michelle will show you how she uses all these tools live in real time, and then answer any questions you might have afterward. Collaborative Facebook Mastermind Group ($97 Value) – access to a special Facebook mastermind group where you can get additional support: ask questions, share results and brainstorm with Michelle and other people who are on the same track you are. $1800 Day Case Study ($197 Value) – a one-hour case study in which Michelle’s friend and mentor Bill Hugall shows you how he was able to take $200 and turn it into $1800 in less than a week. He will walk you through it step-by-step, showing you the pages, the offer and where he got his traffic from. I would definitely consider picking this up, mainly because you’re getting an amazing amount of value for just $27. I can’t vouch for Bill as a coach/teacher as I haven’t worked with him personally, but you just have to look at the testimonials and what you’re getting including bonuses to realize that this is a killer offer. If you’d like coaching but aren’t willing to pay $497+ for it, this is for you. Upsell 2 ($27) – with this you get five completely done-for-you landing pages with solid free giveaways and follow up email campaign series that you can just plug and play and drive traffic to. These are the top five niches which consistently convert every year. This is a great option if you want to get off the ground and start seeing some results quickly. Upsell 3 ($17) – Dirk Wagner’s Facebook Content Manager software. The main feature of this software is its ability to auto-reply to people who have liked or commented on your posts, thereby bringing them back to see your offer and visit your website. This is easy free traffic for you. If you’re currently marketing on Facebook or are interested in doing so, I would suggest picking this up to boost your results. I would normally charge for these value-packed bonuses (particularly the first one, which is a full course), but you’ll be able to get all of them absolutely free if you grab InstaCode through my link. 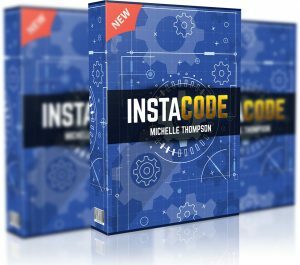 You might be tempted to get it just for the bonuses, but InstaCode really is a great product on its own. I think at this point it goes without saying that InstaCode is certainly not a scam. I would say if you’re a newbie online marketer who isn’t familiar with what capture pages, email lists, follow-up sequences and the like are, you should seriously consider picking this up. If nothing else, you should buy the front end product for less than $10 and absorb everything that Michelle has in both the PDF and video course. If you’re an experienced marketer, you can still get some value out of this but much less than a newbie would since most of this is very basic stuff. The concepts covered in the course might be basic, but they are extremely important for any marketer who wants to make a living online. I like the fact that this is a solid long-term method that rises above all the noise and BS, instead of a “fad” method that could go obsolete at any time. As I said before, this is perfect for newbies who want to get off on the right foot, and even for more experienced marketers who want to brush up on their marketing knowledge. In terms of negatives, it would have been nice if Michelle had a section on how to get traffic to your offers, as that’s just as important as having the infrastructure in place. 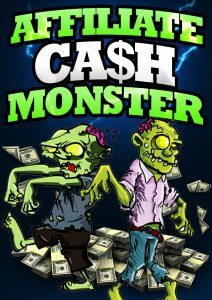 offered more bonuses in the members area instead of just access to the Facebook group. Also, when you separate the minutiae like setting nameservers, buying and installing plugins on WordPress (which have their own dedicated videos), there’s not a whole lot covered inside the course when compared to other similarly priced products. I hope you found my review of InstaCode informative and helpful. See my summary and rating of the product below. If you have any questions, feedback or comments, feel free to leave them in the comment section! Prev Traffic Problem? Solved! 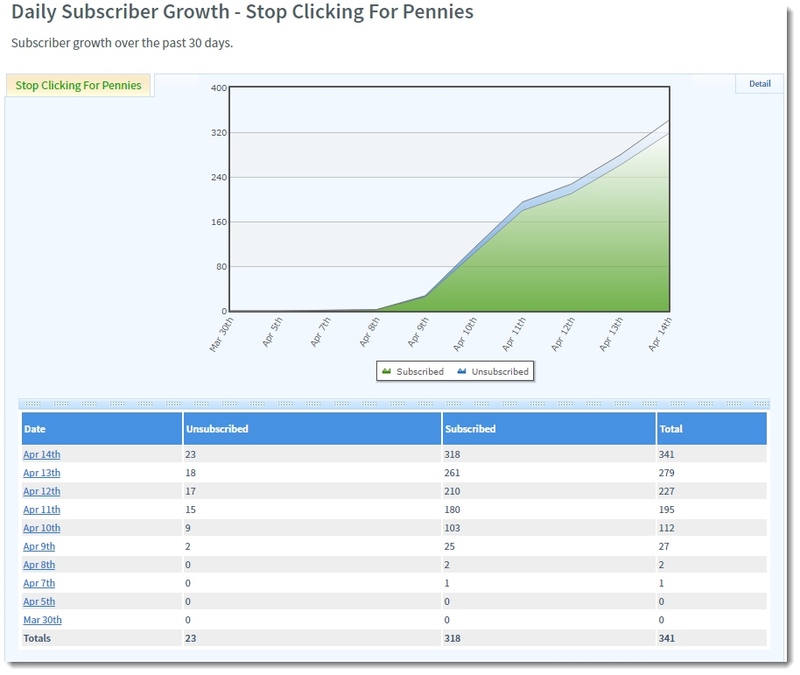 Review + Bonus – Massive Traffic for Pennies?